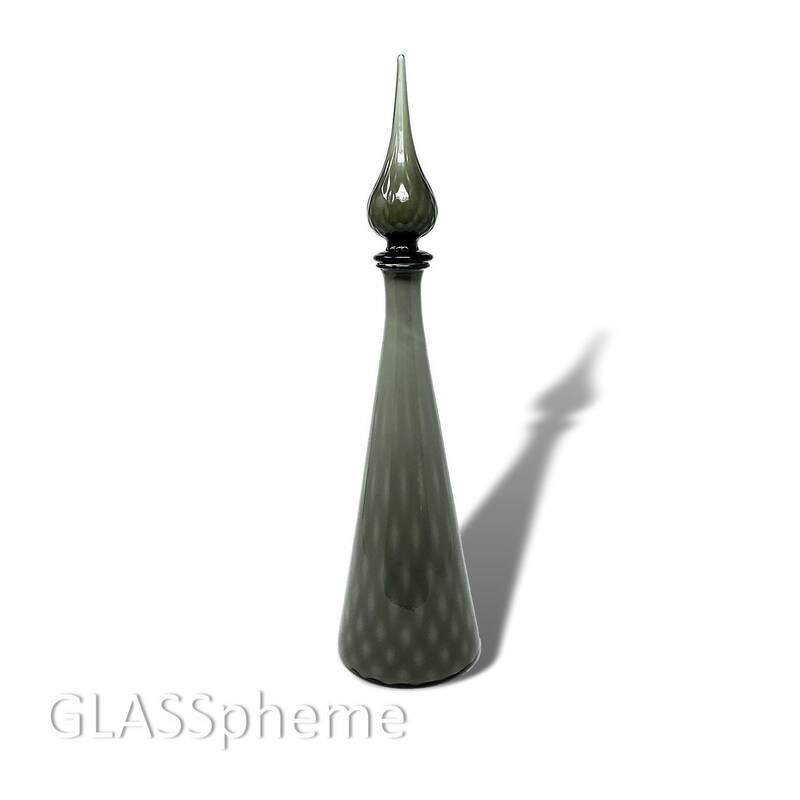 You're looking at a beautiful mid-century Empoli cased glass decanter with textured tear-drop stopper in deep gray with a hint of green depending on the lighting. 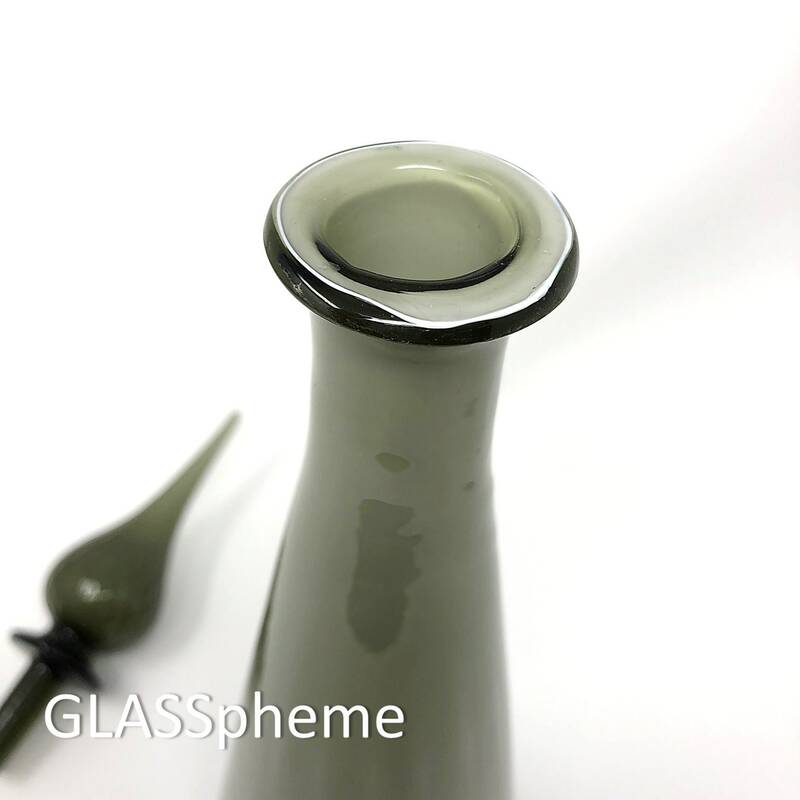 Typically, this design appears in decanters that are generally 24 inches+ tall, so finding one at 18.5" is a relative rarity and a great opportunity to add more size variation to your glass arrangements. 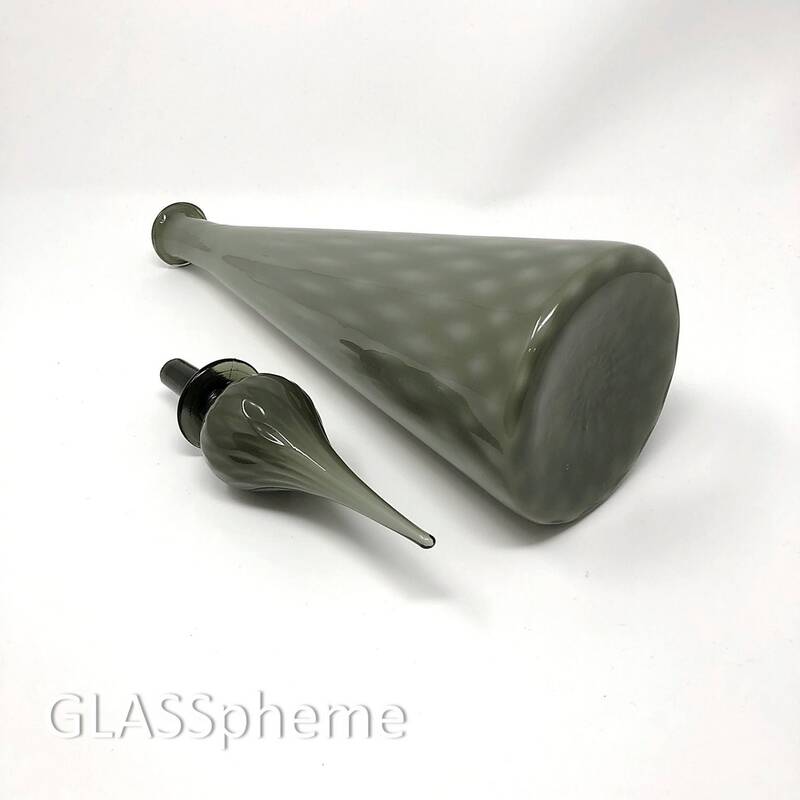 CONDITION: As perfect as vintage glass gets!